Provides excellent protection from heat damage caused by straighteners. Improves hair softness and strengthens hair fiber. WAA™:Natural wheat amino acids that act from the inside of the hair fiber. 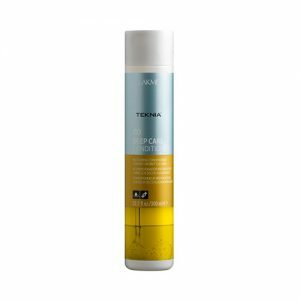 Complex with high moisturizing power, amino acids are absorbed deep into the hair fiber restoring optimum moisture levels. Hair recovers its equilibrium and the shine, softness and flexibility of healthy hair are restored. Spray evenly over dry hair lock by lock. Use flat irons and straighteners from roots to ends. Protects against thermal damage, strengthens and repairs hair fiber. Hair recovers softness, flexibility and movement. Straight and moisturized.